Across the globe educators just wrapped up celebrating Connected Educators Month. During October the focus was on helping all educators, everywhere, understand the importance of being connected to one another and an examination of all the ways to make that happen. It's always a fun month filled with book clubs, webinars, chats and conversations. My one complaint with Connected Educators Month is that it's just a focus for a month. Being a Connected Educator can't be something we push once a month or for a week here and there. Being a Connected Educator is a mindset. 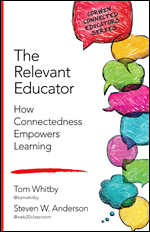 These Tenets of being a Relevant, Connected Educator should be embraced by all in the teaching profession. We are deliberately provocative for a reason. 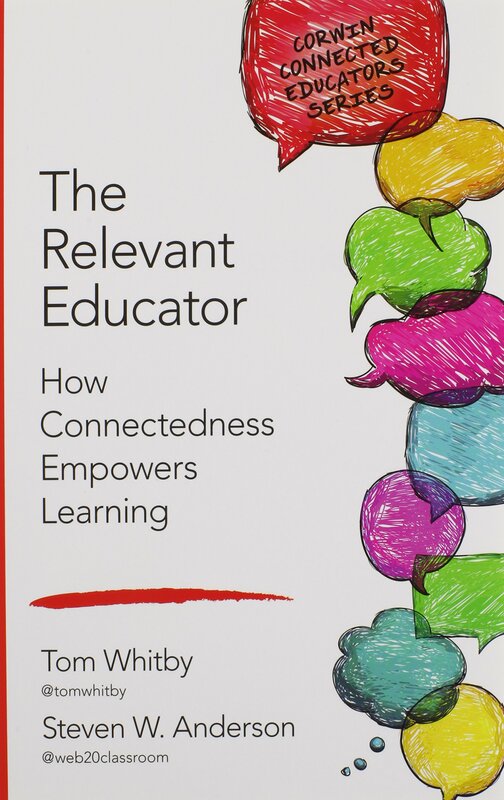 In order to maintain relevancy in the classroom for students and each other, educators need to connect together, to learn, share, reflect and grow. While it sounds like a daunting task for those that are just beginning to explore this world, it doesn't have to be. Our mobility, use of social media and access to devices has made making connections easy and impactful. Learning On The Go-More and more educators are writing, reflecting and sharing through blogs and articles. Because of the shear volume it can be difficult to find exactly what you looking for. And who has time to sit in front of a laptop for hours searching for just the right blog post. We can use those in-between times because of our access to mobile to do some learning, growing and reflecting. Waiting for a doctors appointment? Picking up the kids after school? Any time we're waiting can be time for learning. Apps like Flipboard curate the web and find the content that you want to see. It allows the user to customize the sources and type of content you want to see. For example, I can give a piece of content and thumbs up and now the app knows I like that source and like that topic and it will find similar content for me. Apps like this not only make learning happen anywhere, it makes that learning truly personal. Personalizing Professional Development-Personalized learning doesn't have to stop at apps. Educators, now more than ever before have multiple options to take part in professional learning from the comfort of their own home. As Samsung points out in a great post, over 90% of teachers have a need for specific PD in digital resources. And in most cases these needs are drastically different (just as they are in the classroom). The reality is, districts can't provide personalized PD to every educator. Therefore, we have to seek out those places on our own to fill those gaps. 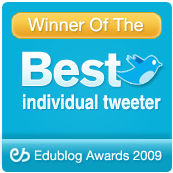 Edweb is one of my favorites. 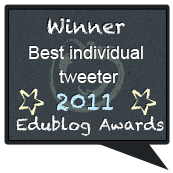 Edweb is a group of communities on a wide variety of educational topics. Leadership, digital learning, the arts, school communications, even school gardens are just a handful of the 100's of communities that are there. Communities have message boards to share ideas and ask questions, blogs, and more. But the best part of Edweb are the free (and on-demand) webinars that take place there. On any given day you can find 2-4 free webinars on an even wider variety of topics. And after each webinar every participant gets a certificate of attendance. Can't attend a webinar live? No worries! You can view it on demand in the community. Reflecting on our Learning-Just as it's important for students to do, educators need to reflect on their learning and share that growth with others. Often we just need to talk-it-out with others to better understand our own positions and thoughts. Teaching can be isolating but it doesn't have to be. Alone we are smart but together we are brilliant. We have to work and share together to all be better. Twitter chats, as I have said for a very long time, can be a great starting point for these types of reflections. As a founder of #edchat, I have seen the evolution of Twitter chats over the last 7 years and seen the impact and power they can have for educators. In the beginning there were just a handful of chats to pick from. Today there are in upwards of 30 a day. Most states in the US have a chat, and there are chats that take place from all corners of the globe on just about any topic you can choose from. Check out the Twitter Chat schedule to learn more and, most importantly, commit to participating or lurking on a chat. As Educators, being connected should be an important part of our growth process. If we are truly committed to being lifelong learners and we want students to learn the importance of lifelong learning than we must use the power of mobility, social media and digital devices to reach out and learn, reflect and grow together.